Dry needling is a therapeutic intervention that has been growing in popularity. It is primarily used with patients that have pain of myofascial origin. This review provides background about dry needling, myofascial pain, and craniofacial pain. We summarize the evidence regarding the effectiveness of dry needling. For patients with upper quarter myofascial pain, a 2013 systematic review and meta-analysis of 12 randomized controlled studies reported that dry needling is effective in reducing pain (especially immediately after treatment) in patients with upper quarter pain. 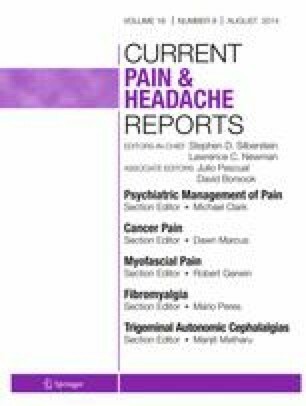 There have been fewer studies of patients with craniofacial pain and myofascial pain in other regions, but most of these studies report findings to suggest the dry needling may be helpful in reducing pain and improving other pain related variables such as the pain pressure threshold. More rigorous randomized controlled trials are clearly needed to more fully elucidate the effectiveness of dry needling. Dr. David M. Kietrys, Dr. Kerstin Palombaro, and Dr. Jeffrey S. Mannheimer each declare no potential conflicts of interest.